I’m a mom of two always-­hungry boys, a wife of a food­-loving husband, and a professional recipe developer, so I’m always working in the kitchen. 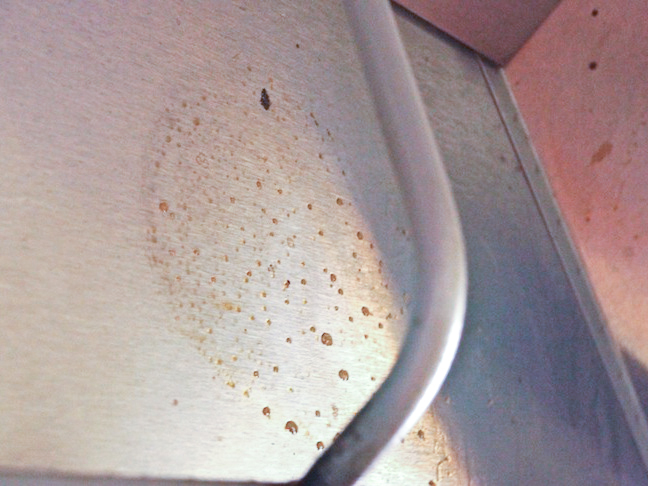 In my house, the range hood regularly goes from pristine and clean in the morning to greasy and grimy in the evening. Cleaning the hood always felt like a huge chore and a major workout simultaneously. I’ve tried so many ways to cut down the effort it takes to clean the hood, but typically the less time I spent on it, the dirtier it remained. 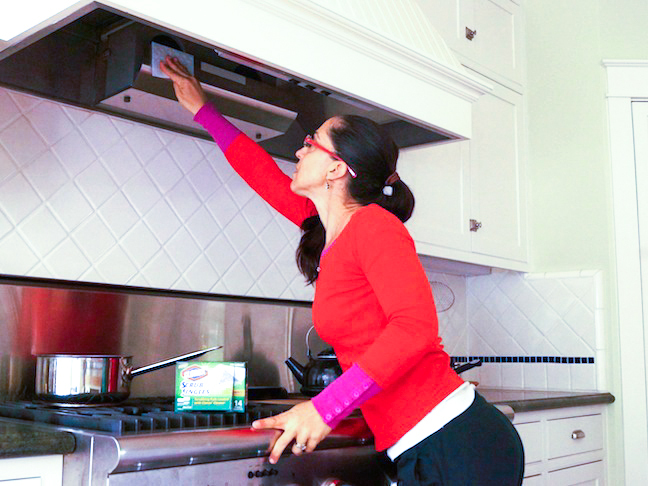 Through trial and error, I’m happy to have found the perfect solution to cleaning my greasy range hood with ease in just a few minutes—and without getting my clothes dirty, either. This is what the inside of my range hood can look like after just an hour or so of cooking. 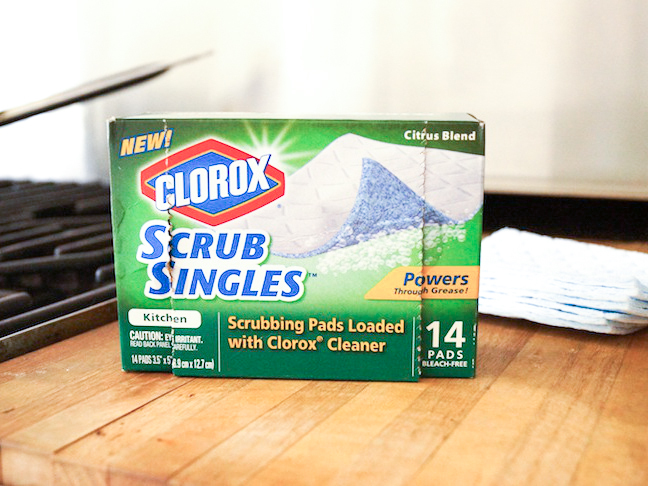 Step 1: Wet the Clorox ScrubSingles™ Kitchen Pad with water and and then gently squeeze it. This will activate the pre-loaded cleaner. Step 2: Scrub the dirty areas of the hood with the wet pad. You won’t have to use too much force, as the pads are powerful enough to easily remove even stuck-on bits of food effortlessly. (They’re not rough, so they won’t scratch the surface of your hood.) The pads are flexible, so you can get inside the less accessible and smaller areas, too. 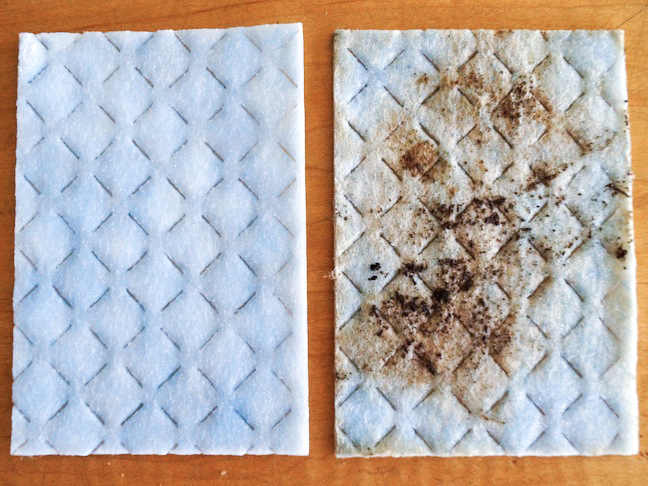 Check out how much grime the pad collects after about a minute of gentle scrubbing! 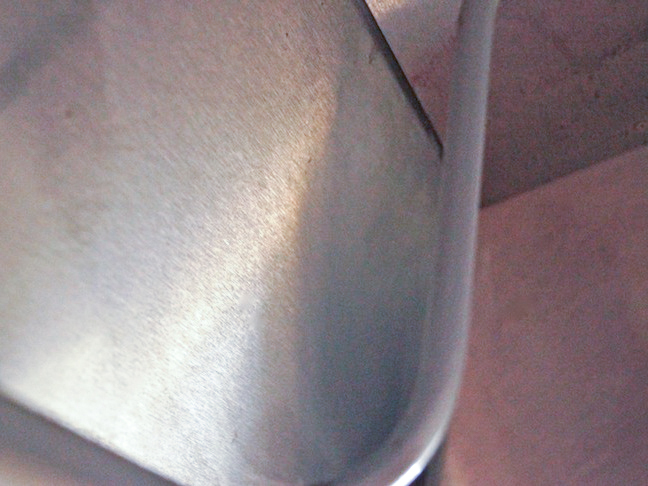 Surfaces get shiny and clean in less than a minute. Step 3: Toss the used pad in the trash. That’s it—you’re done! This post was sponsored by Clorox. All thoughts and opinions are my own.